Great! I will guide the players to overcome 4 modes of this funny game. There are 4 main modes for you to experience such as Arcade (Destroy all enemies), Battle Royale (Destroy 10 enemies), Pac –man (Collect all coins) and Green Zone (Occupy the green zone). With each model, I bet that you will get lots of interesting experiences in life. Besides, you can choose 1 in 2 modes: 1 player or 2 players, number of enemies, difficulty level or contexts such as Birthday party, Candy factory, Zoo, Luxury shop, Magic library, or Movie theater. It is very attractive, right? Hurry up to jump into Arcade mode and show off your talent at games online friv! 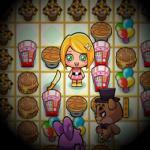 Arcade mode: In this level, you will have all 3 lives and 5 levels to overcome. Keep your eyes to observe carefully and move wisely on the way. 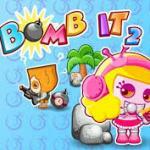 Put your bombs in the right places and destroy all enemies who are trying to kill you at all costs on the maze. Therefore, you must find a perfect tactic to destroy them before you become a victim in this dangerous birthday party. Remember that, as soon as you place bombs, you must run fast to avoid being killed by your own bomb. Besides, you should pay attention to collect many support tools that can help you overcome this model in an easy way. Try to complete Arcade mode within 178 seconds. Have fun at online friv Games! Battle Royale model 1: In this model, you will have a specific goal – kill 10 enemies within 179 seconds. Therefore, you need to focus on your main task and observe your opponent’s gameplay in the battle. You still will have three lives in total and 5 levels to pass through. Note that, destroying 10 enemies is not an easy task for you because your opponents are extremely intelligent and powerful, they will find every way to defeat you in the shortest time possible. Pay attention to each characteristic of the enemy and find the most suitable strategy to kill them. What are you thinking? Fight with your enemies at friv school Games now! Battle Royale model 2: The context of this model will be designed as a maze with an important position that is placed at the center. 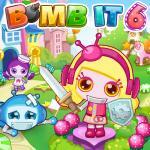 All you need is to wipe out the dangerous obstacles, deadly traps on the way and defeat 10 enemies in the battle. However, be careful with them, because they will try to push you into the corner and kill you right away. Don’t forget to collect as support tools as possible such as gun, hammer, mine or shield along the way. With eye-catching graphics and great music, I believe that you will get a lot of wonderful experiences in life. Conquer Battle Royale model and unlock next models at Games of friv 2017. Pac –man model 1: Haha! Great! A world full of gold coins is awaiting for you in Pac-man model at friv game online. I bet that you have never seen a game with many gold coins like this game. The gold coins are everywhere and along the way. Therefore, your biggest mission is to collect all gold coins and avoid being destroyed by the enemies on the way. In particular, in this model, you will have only one life, so you have to move wisely, otherwise, the game will end immediately. Try your best to complete your mission within 179 seconds and get a time bonus in the game. Everything is available for you at friv best game! Pac –man model 2: To overcome this model, I will give you some useful tips in the game. First, you have to move quickly and collect as many gold coins as possible along the way. Second, at all costs, you must avoid touching the enemies because they will destroy you immediately. One more thing, you can’t defeat your opponents, so don’t try to attack them because you will not get any results. 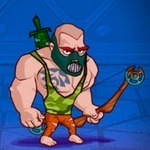 The last, use all your skills to earn many support tools that can help you pass through enemies without being killed. 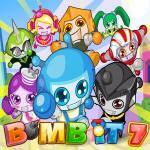 With cool graphics and lively sound, I believe that you will get tons of smiles at online game friv. Have fun! Green Zone 1: Tadda! 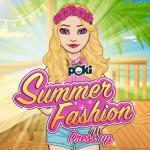 A new task for you in Green Zone at Game of friv! 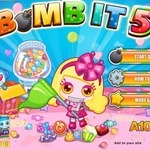 Will you place bombs to kill the enemy? No! All you need is to stay in the green zone for enough time to occupy it. In this model, you still will have three lives, 5 levels and 179 seconds for each level. In order to win this game, I recommend that you should observe carefully, calculate every move wisely, and find the shortest route to your destination. This task isn’t easy because you will face a lot of difficulties on the way. However, you don’t need to worry about this problem because of your intelligence, everything is just a small thing. Conquer the final model of Bomb it 5 and get the victory at friv game 2017. Green Zone 2: You know what to do in this model? OK! There are a few important notes for you to win this model. 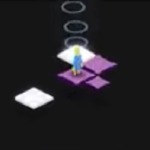 Frist, you have to move continuously in the maze and jump into the green zone as soon as it appears. 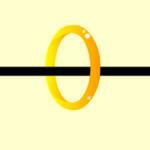 Note that, this symbol often appears unexpectedly in a short time. So, you usually must pay attention and move quickly into the green zone. Second, keep your eyes to avoid falling for deadly traps on the way. Be careful because the crocodile will eat you right away. Third, take every opportunity to kill the enemy or avoid being killed by them in the battle. The last, don’t forget to collect as many support tools as possible and get the highest score in the game. Congratulations! 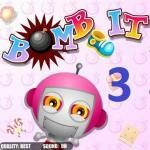 You have conquered Bomb it 5! Cheer! Cheer! Cheer!